30 Most Influential Retail Industry Players in the World in 2017 #infographic ~ Visualistan '+g+"
Major companies influence us more than you know, especially when it comes to the Internet and social media. Most of the time, you probably don't even realize it's happening. You hear something online about how trustworthy a company is and how much that company is worthy of your business and before you know it, you're doing all of your major shopping there. Look at Amazon. How many people did ALL of their Christmas shopping on the platform this year? The percentage is likely staggering! But how did you hear about the company you're now using? Was it one of your friends or family? How were they influenced? Chances are, it was a mix of many factors including advertising, social media campaigns, customer loyalty programs, sales, pop culture, and more. 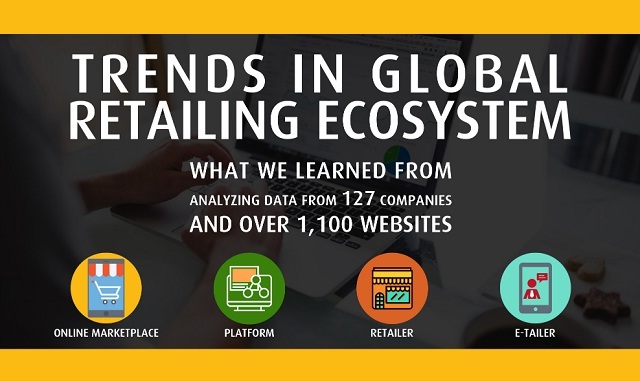 This influence is difficult to measure, but the coupon, promo code, and clearance discount experts at DealHack did the math and uncovered the 30 most influential players in e-commerce in this in-depth write up and infographic.